Find the all in small. 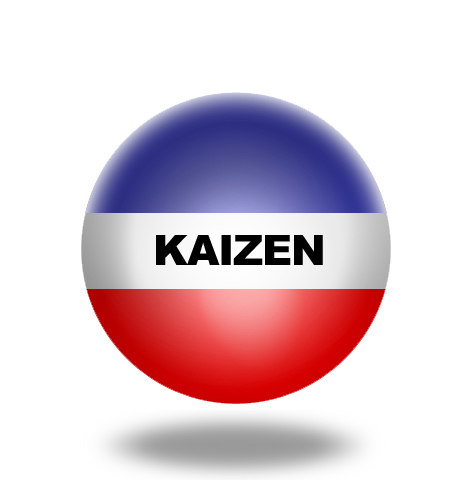 Click on any of the balls above to see how one small click can expand Kaizen! Kazien. Kaizen is is a Japanese philosophy that focuses on continuous improvement throughout all aspects of life. Robet Maurer wrote a wonderful book called The Kaizen Way: One Small Step Can Change Your Life. Maurer does a superb job of helping us focus on the small. He encourages and guides us to take small comfortable steps towards improvement. Ask small question to inspire creativity and dispel fear. Think small thoughts to develop new habits and skills. Recognize and dwell in the small, often ignored, crucial moments. Moon shot. As Neil Armstrong stated when he stepped on the moon. “that’s one small step for a man, one giant leap for mankind.” Our small steps, actions, and thoughts can take one giant step through fear while also moving us much closer to our desired outcomes. A small energy boost. We seem to believe that small = insignificant. I believe that small is the new significant. We are so overloaded that we often neglect to see the power in small acts, questions, or interactions. For example, Jane Dutton demonstrated the power of small interactions (HQI: High Quality Interactions) to be the single greatest contributor to organizational energy. One of these interactions can occur in two seconds and many of them woven through the day energize other people, ourselves, and our organizations. Read Maurer’s book, The Kaizen Way – transfrom his small suggestions into small and significant actions. Practice small acts such as taking a few second to really look at a co-worker or to voice something you noticed or appreciated about them. Chop stress into managable chunks by continually thinking about the smallest and most significant actions you can take to handle various strssful situations. Accomplish he great task by a series of small acts. This moment. Maurer concludes his book with this small question: What more important task does this life hold than to draw out the possiblity in each moment? An excellent post, David! Too often we look at large tasks that need to be done or large steps, we think we must take, and are so overwhelmed that we do nothing. By focusing on small steps and small tasks, great things are accomplished! Thanks for the reminder! Thanks for the ‘small’ feedback. I will work at keeping it both small and significant today. I really like the high quality interactions. I also like the point on smallest and most significant actions. Heck, I like it all, but those are my little take aways. It takes a small mind, it only takes a small mind, to move a neuron to move a mountain. I liked your comments. Keep bouncing.